Everyone has been talking to me about trying the “Cookie Diet” when my strategy of spin classes and running sprints didn’t reduce the really-oh-so-small extra wine storage I keep handy in my mid-section. I could eat 2 cookies for breakfast, 2 for lunch, one for a snack, and have my usual dinner. So I ordered said cookies. But upon quick dispatch of the UPS box…there was something else to be found: instructions for use: I wasn’t to have any liquor. Are you friggin’ kidding me? Now, I’m not a complete fool, I understand that liquor is a no-no on any diet. But, considering what I do with my spare time being common knowledge, why would anyone recommend this diet to me? 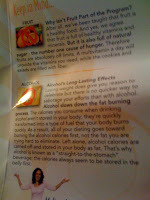 As frankly, I could easily loose 10 lbs if I just quit alcohol for one week. Then there’s also no fruit allowed. 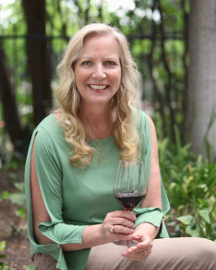 The American Rosés can be darker hued, cloyingly sweet and overdone. Think White Zinfandel. Are they trying to duplicate the intensity of a varietal that had seen it’s prime? Do they even like what they produce themselves? Then I had Tobin James Syrah of Rosé, that even though was packed with fresh fruit and charged with strawberry color, I did find pretty damn good. But really different from the other American Rosés I had encountered. 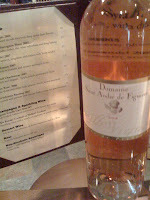 The Rosé I finally settled on was found at Valencia Wine Company: 2008 Domaine St. Andre de Figuiere. Floral, light, crisp, and went well with…well not with…my stupid diet cookies. 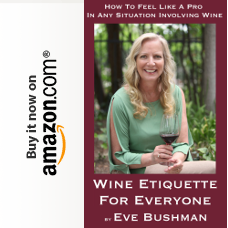 But, and here’s what you’ve been waiting for, as the French version wasn’t a fruit forward wine like our American Rosés I’m still officially on my diet. Right? Tobin James Rose – That's the favorite of Lance Silver likes, (Toby's partner of Tobin James). When we recently stayed in the Coach House, we caught him each evening pouring himself a "tall" glass of said Rose. Other favorite rose's from Paso for me: Halter Ranch & Clavo. I think it's your turn to bring the wine and me to spill some…when you coming over?